Keyboard with 25 keys. 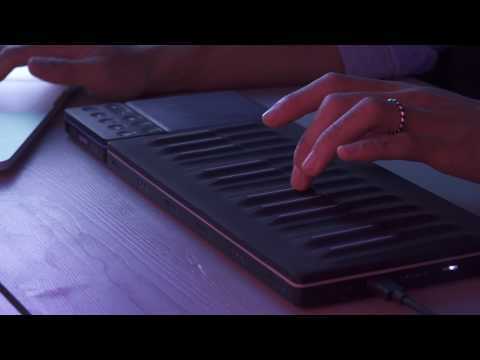 The Seaboard GRAND is a radically new musical instrument that reimagines the piano keyboard as a soft, continuous surface and puts expression back at your fingertips. For centuries, keyboardists have been forced to accept the velocity of their key strikes marking the end of that note's expressive potential. With the Seaboard GRAND, however, this interaction is merely the beginning. Intuitive gestures such as presses, bends and slides open new avenues to musical expression. Continuous touch enables you to sound a note and then take it on a musical journey; modulating volume and timbre through one continuous motion. The Seaboard GRAND's keywaves offer precise tactile feedback, making it easy to sense the slightest change in pressure, resulting in a far more organic experience than traditional aftertouch. Adjusting pitch is as natural on the Seaboard GRAND as it is on a stringed instrument. Slide a finger to the left to lower the pitch of a note; slide it to the right to raise it. The smooth feel of the playing surface lets you easily glide from one keywave to the next, or apply a natural vibrato to any note. Unique, low-friction ribbons run along both the top and the bottom of the Seaboard GRAND's playing surface. They make it easy to start playing one keywave, then slide to any other keywave you choose in one fluid gesture, even allowing multiple notes to glissando independently at the same time. The SoundDial is the only control you will need to adjust the sound of the Seaboard GRAND. Shift between sound presets using the continuous rotary control, while the subtle LED ring shows you exactly which preset is currently being played. Equator is a full-featured audio engine, designed specifically for the Seaboard's multidimensional control. Every Seaboard GRAND ships ready to run Equator on-board: just plug in a pair of headphones or an amplifier and you'll be ready to go. Tracktion Waveform, the newest and most advanced digital audio workstation from Tracktion, is now included with all Seaboards. The Seaboard was invented and developed in London, and the company is proud to be making each unit right in London too. 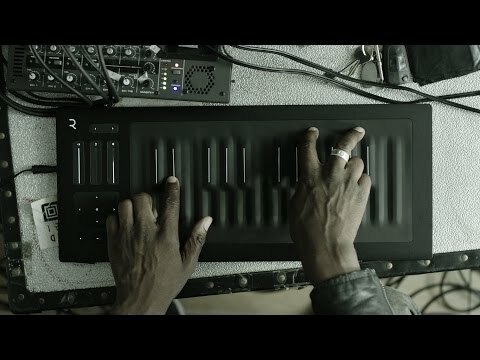 Roli assemble and test each Seaboard GRAND in their Dalston studio, enabling them to care passionately for each detail and ensure the quality of every instrument they make. 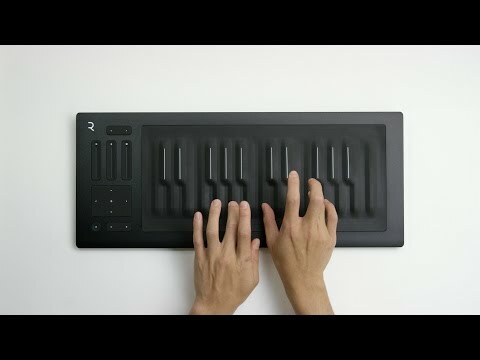 Do you own Roli Seaboard Rise 25 or have you had a chance to try it?